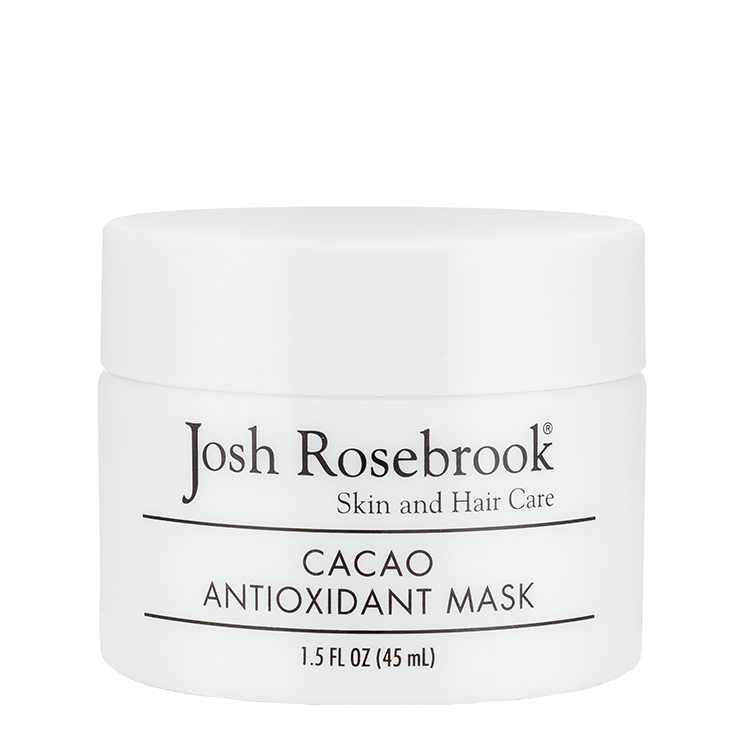 Cacao Antioxidant Mask was Josh Rosebrook's first product, initially made for himself and then for his private clients. 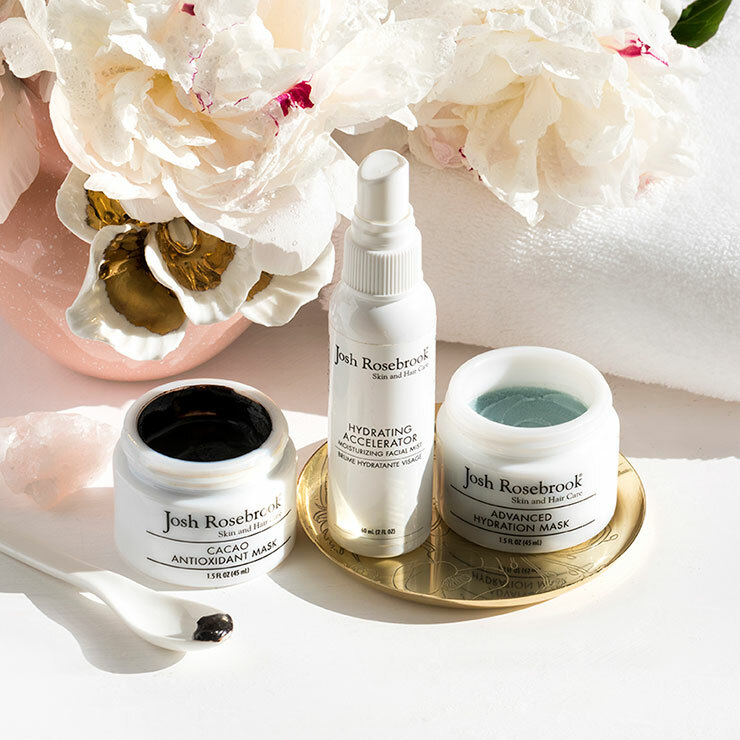 The success and demand for this cacao face mask led to the development of the Josh Rosebrook line today, based on whole plant ingredients that work in synergy for optimal results. The cacao mask is designed with a wide range of antioxidants and phytonutrients to give skin a detoxifying and reparative feel, that results in a glowing appearance. With a base of rich and nutritious cacao, this decadent mask is easy to apply and remove. It lends a feeling of regeneration and vitality. You'll see the glow. Moving quickly with fingers or a mask brush, apply a thin layer from the neck to the forehead, avoiding the eye area. Allow to dry on the skin for up to 45 minutes, then remove with a warm wet wash cloth. You may experience slight redness, which results in a look of naturally glowing skin. I love this mask, it leaves my skin so soft and clean and bright. When you are done masking add in alittle of the active enzyme exfoliator and scrub and then rinse and it really adds to the experience. Smells good, dark color, goes on well and not hard to spread onto face. This was one of the first masks I ever used and it has set the bar for all others. I use it when my skin is feeling a bit dull and doesn't seem to be absorbing face oils and serums very well. It provides a very nice exfoliation without any scrubbing. It smells like hot chocolate (yum!) and it dries as it's on your skin (unlike Josh Rosebrook's Active Enzyme Exfoliator, which stays fairly wet the entire time it's on your face). I leave it on for about 30-40 minutes and when I remove the mask, my skin feels so soft and refreshed. I notice a little redness (which is expected, as per the product information) but it goes away within an hour, maybe even more quickly when used in combination with the Hydrating Accelerator. My little pot has lasted me quite a while, but I definitely will repurchase when I run out.